INDUSTRY: What Do Music Fans Want To Own, and Why? 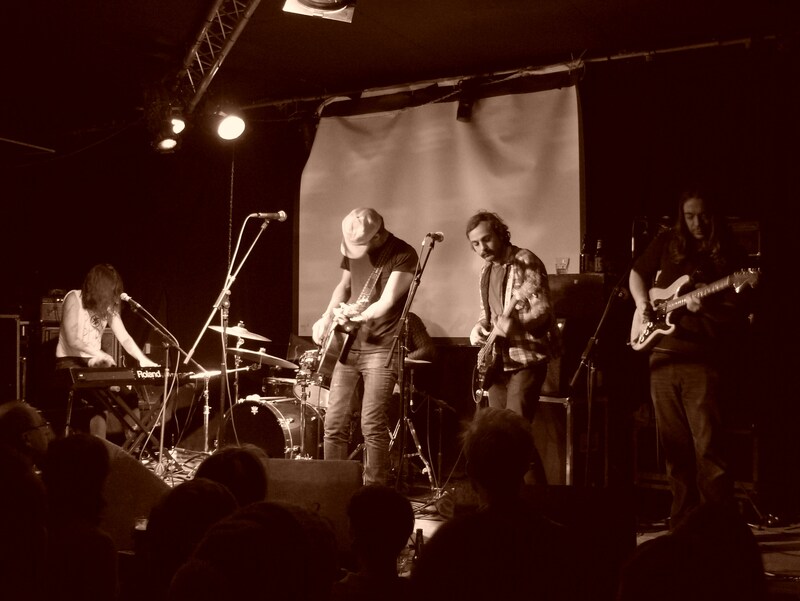 The Phosphorescent of old was a lonely, mysterious character, heavily bearded, who stood shadowed and hunched on stage performing his understated ballads. 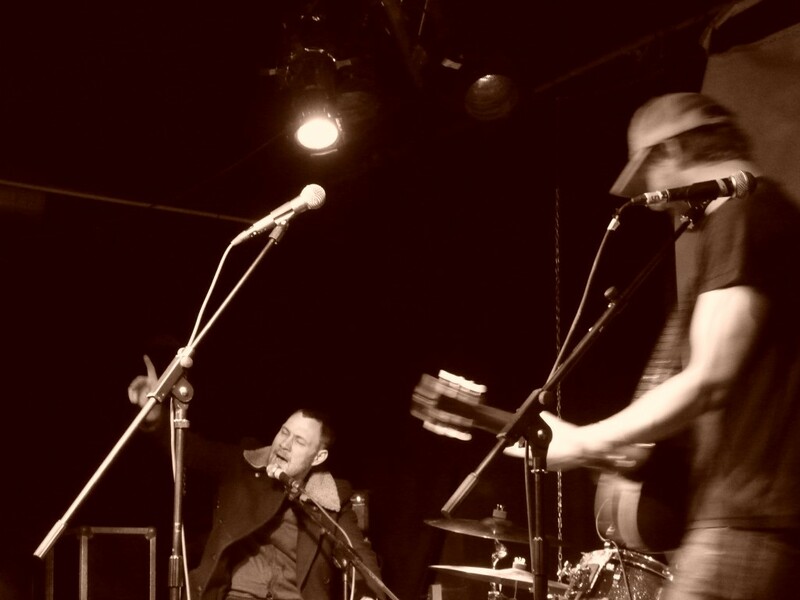 But the demeanour fitted the early songs from debut albums ‘Aw Come Aw Wry’ and ‘Pride’, and those early shows were some of the most striking I saw in 2007/​8. Three years and three albums later, and Matthew Houck has transformed Phosphorescent into a full band experience. But this is not the road travelled by fellow whisperer Iron & Wine, who turned his hushed lullabies into turgid, predictable folk rock templates with the addition of some musical support. This is a whole different path, and one that transforms the songs entirely. Opening with a cover of Neil Young’s ‘Are You Ready For The Country’, Houck stands tall at front of stage, addressing the crowd with repeated hand gestures and animated nods. There are no shadows here, and no attempt to keep anything to himself. But more obvious than any if this is the music. It’s LOUD. It hurtles toward you and lodges itself inside your skull, in an act of ferocity that would make a Facehugger proud. Tracks such as ‘It’s Hard To Be Humble’ from recent album ‘Here’s To Taking It Easy’ are looser than on record, played faster and with more relish. The band are delicately drunk, just about keeping it together when needed but losing the will to do so with joyful abandonment when the occasion is deserving. They’re having fun, but the voice that delivers each line can still be as broken and desperate as the Phosphorescent of old. But it’s on the older tracks that the transformation is most obvious. ‘Wolves’ appears on 2008’s ‘Pride’, as sung by a child hiding behind his sofa, watching as the Wolves he’s admired for so long are in his house, running amok. Tonight it’s sung by a proud man at least trying to confront his demons as he guards his front door, even if he does ultimately succumb to them. ‘A Picture Of Our Torn Up Praise’ originally had its torn and tumbling melody line sandwiched within echoes and drones. Here it is thrown against an explosion of noise that further accentuates the delicacy of Houck’s vocal. Returning for a solo encore, Houck delivers a heartfelt rendition of Bob Dylan’s ‘Tomorrow Is A Long Time’, before being joined on stage by David Gray (yes, the Babylon man) to rip through the Hank Williams standard ‘I’m So Lonesome I Could Cry’. The room seem not to care for their new guest, but he more than justifies his invite by screaming his way through a desperate verse as the band destroy everything in sight around him. The set is closed by beautifully shambolic performances of ‘Los Angeles’ and ‘Dead Heart’, where all acts of sobriety are discarded in exchange for camp posing and instrument abuse. Any mystery that once surrounded Phosphorescent disappears, but I still find myself wanting to hear more. Click here to listen to the new album ‘Here’s To Taking It Easy‘ on Spotify. Below is a selection of songs mentioned above from We7. Dylan doesn’t stream his music, so instead there’s his favourite version of ‘Tomorrow Is A Long Time’, by one Elvis Presley. Whoops, looks like there's nothing similar to read. Here's something completely random instead... Gotye - Making Mirrors . best gig for ages. lovely review Chris - although no reference to Land Rover magazines. missing a trick i feel.